Chief executive T.K. 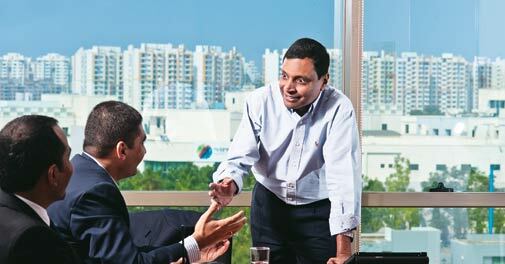 Kurien gets the IT giant back into shape under Azim Premji's benign watch. The chairman is getting less hands-on, too. The third edition of Business Today-YES Bank SME Survey & Awards 2011 received an overwhelming response, with over 2,80,000 SMEs sending in their entries. As always, our annual survey in partnership with YES Bank on India's best Small and Medium Enterprises was a huge draw. Car shows these days are as much about new vehicles as about the models posing next to them. Sunny Sen tries to find out more about this growing trend among young women to earn some quick money. The book offers valuable insights into the pursuit of ideas. Ganesh Ayyar, CEO, MphasiS shares his leadership spotlight. Anji Reddy may be unwell. But with a succession plan in place, no one is worried about the future of the company he founded. What went wrong with govt's Bachat Lamp Yojana? Can 2012 polls in Manipur stabilise its political economy? Business Today's rankings of the best performing CEOs, based on the long-term shareholder returns they generated, provides many interesting insights (BT, February 5). Two US Bills, which prompted many sites to black out in protest, affect us all. Leading global recruiter Hays CEO Alistair Cox says the company is doing well in India. This year, the World Economic Forum attracted over 2,500 businessmen, economists and policy makers from around the world, including a sizeable group from India. The much-ballyhooed 360-degree appraisal is hardly foolproof.